This page contains redrawn panels for various pages of Berlin Issue #1. They are listed below as they appear in Berlin Book One: City of Stone. 1. Page 9, sixth panel. 2. Page 11, second panel. 3. 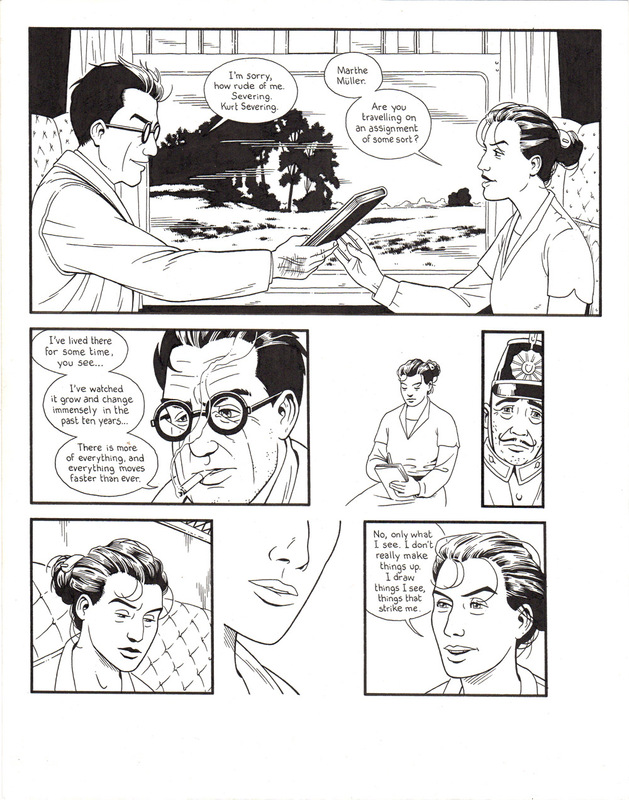 Page 5, fifth panel, image of girl only. 4. Page 21, fifteenth panel. 5. Page 5, sixth panel 6. Page 5, seventh panel, image of girl only. 7. Page 7, eighth panel.